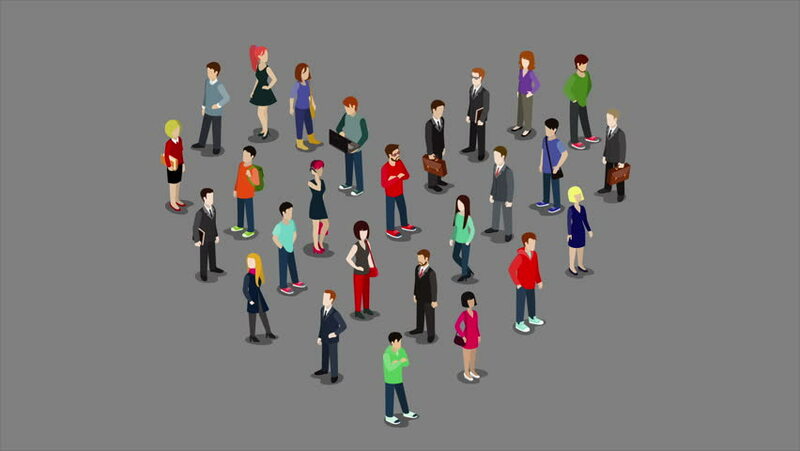 People standing as Heart shape flat isometric 3d cartoon looped animated. Love 4K video concept. hd00:25Social network abstract men and women users, media concept, blue dark background with animated links.